KENDRA SCOTT announces a partnership with Kind Campaign in an effort to bring awareness and healing to bullying in schools nationwide. As the brand continues to grow, Kendra Scott remains committed to the company’s guiding principles “family, fashion and philanthropy,” with a focus on involvement in philanthropic efforts. 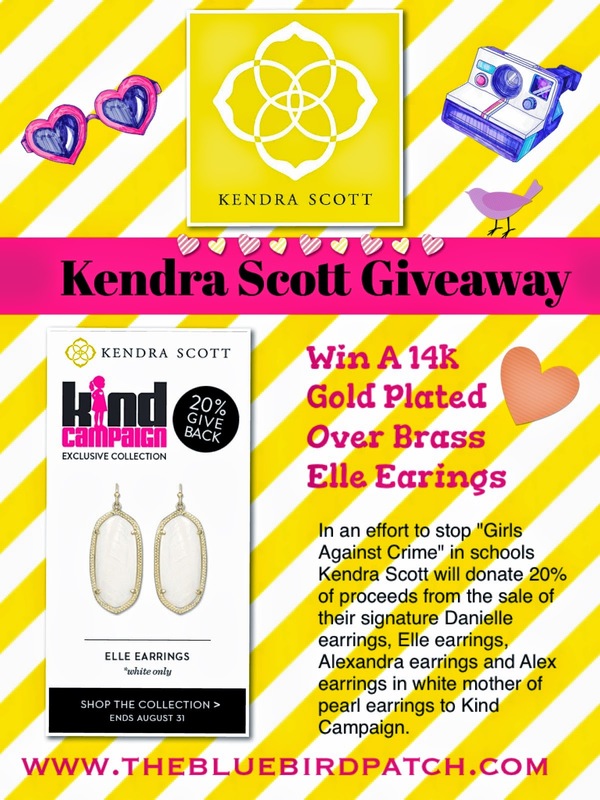 During the month of August, Kendra Scott will donate 20% of proceeds from the ONLINE sale of their signature Danielle Earrings, Elle Earrings, Alexandra Earrings and Alex Earrings in White Mother-of-Pearl to Kind Campaign. Kind Campaign is an internationally recognized movement, documentary and school program based upon the powerful belief that kindness brings awareness and healing to the negative and lasting effects of “girl against girl crime.” With the start of the school year around the corner, this partnership will aid in spreading the kindness message across communities nationwide. The Kendra Scott collection is available at retail stores nationwide and online at KendraScott.com. $52.00. To enter just tell us what do you do to become a kinder person, then register your entry using our rafflecopter widget. Earrings Description: Tiny Elle, the sister of the legendary Danielle Earring, adds a statement of color in a dainty yet bold way. This bitty bauble is a sure show stopper. Half the size, half the weight, just as gorgeous. Kendra Scott is a leading fashion accessories brand sold at premier retailers including Neiman Marcus, Nordstrom, Bloomingdale’s and over 600 specialty boutiques worldwide. The brand is known for its kaleidoscope of beautiful accessories infusing vibrant, hand cut gemstones meticulously designed at the flagship store and design studio headquartered in Austin, Texas. By year’s end the brand will have 17 stand-alone stores throughout the US. The brand also offers the Kendra Scott Color Bar™, an innovative jewelry customization experience available in all Kendra Scott stores as well as www.KendraScott.com. 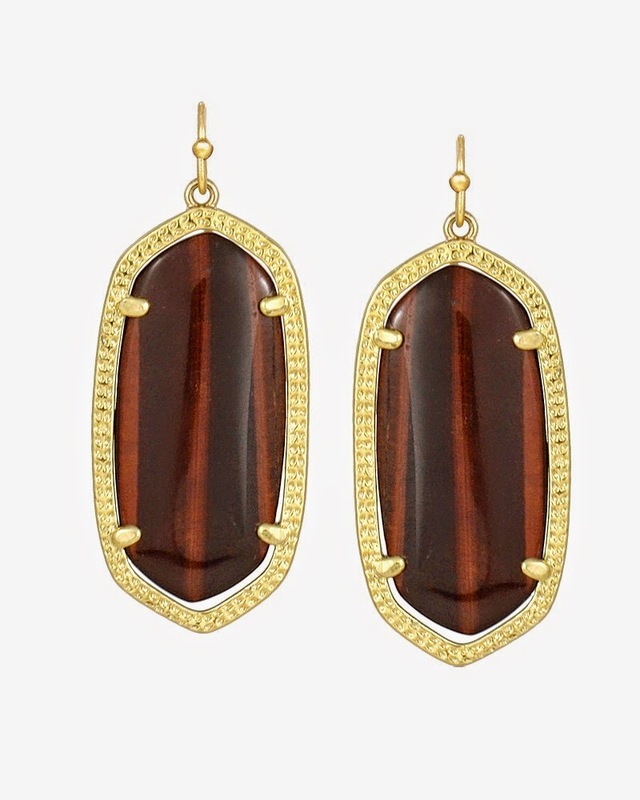 Regularly featured in film, television and leading fashion and lifestyle publications, Kendra Scott has become a staple for women of all ages as well as a favorite of Hollywood’s starlets like Selena Gomez, Jessica Alba, Brooklyn Decker, Sofia Vergara, Hilary Duff and Eva Longoria to name a few. As the brand continues to grow, the company remains true to its founding philosophy of “Family, Fashion, Philanthropy” and established the "Kendra Gives Back: You Shop, We Give” initiative to benefit both local and national charities across the country.